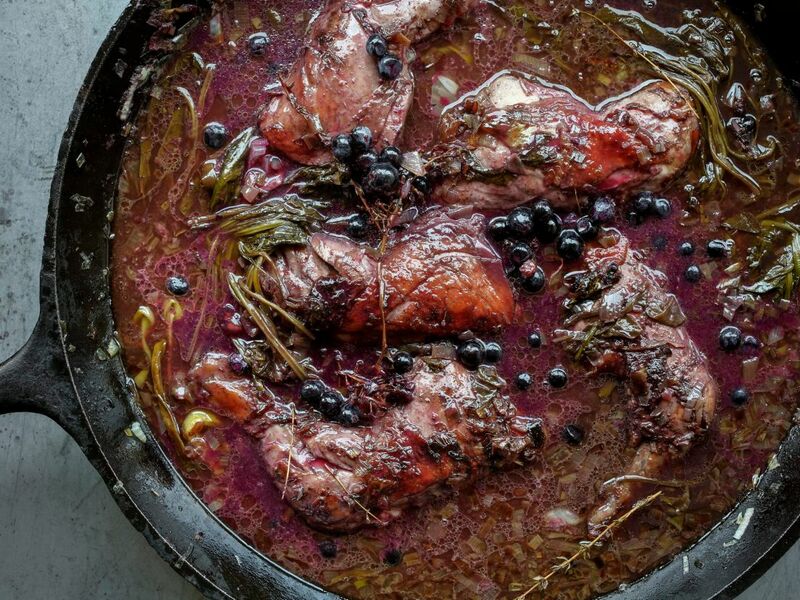 Hilik Gurfinkel just wanted to drink wine and eat beef bourguignon, but it was summer – time for a workshop on cooking with fermenting grape juice. “I’m sure you’ve heard that you have to poke a finger into the fish’s flesh and look it right in the eye to tell how fresh it is,” says Hilik Gurfinkel. He is addressing participants in the cooking workshop he led recently in the kitchen of Domaine du Castel Winery’s new building on the outskirts of Moshav Yad Hashmona. Gurfinkel once had a short career as a cook. “I was the first cook at Shaul Evron’s Yoezer Wine Bar. I did it for a year, until the day I took off my apron and declared, with the forcefulness of a young Menachem Begin, that I couldn’t take it anymore. Since then, I’ve made a career of talking about how I was the first chef at Yoezer.” He has worked as a wine expert at some of the country’s largest wineries and been a respected food and wine journalist (Ha’ir, Mapa, Globes). In recent months, he’s been leading cooking workshops for a very small number of participants at interesting locations, and with the involvement of some extraordinary people he has met in his culinary career over the years. Now he serves the group a potato salad with herring and sour cream; pickled red mullet; tomato salad with olive oil and oregano; and fresh challah – accompanied by fire-breathing talk about fish and the Poles. “My father is a black Pole, my mother is Greek. But Polish-ness is contagious, there’s no escaping it. My wife is Argentinean, and she’s the happiest woman in the world, but still I’ve managed to infect her with some of that neurotic Polish gloom.” His friend Eli Ben-Zaken looks on with amusement and affection. 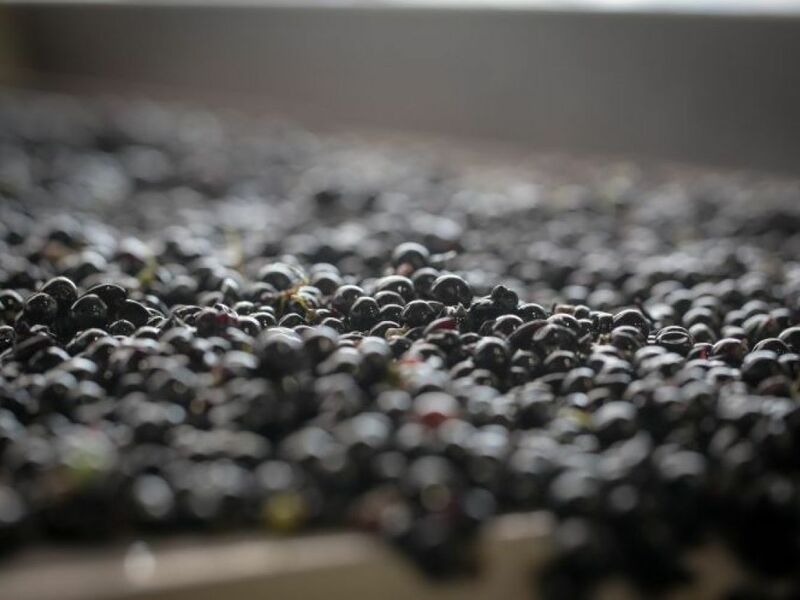 Then he places buckets of must – grape juice at the start of the fermentation process – on the floor of the terrace, which looks out on the Jerusalem hills and the winery’s vineyards. The workshop was an intimate encounter with some of the most interesting people and places on the local culinary scene, as well as an opportunity to experience the kind of unique event that is not usually available to people outside the field. 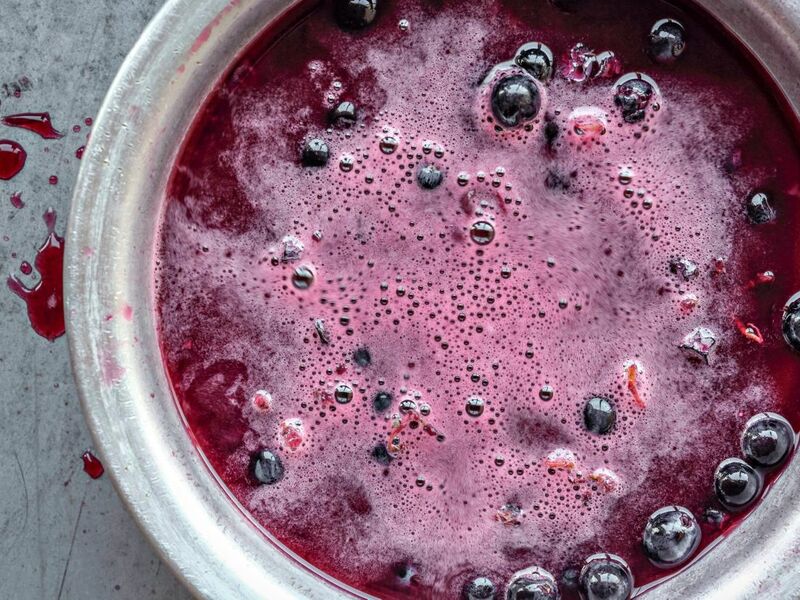 The focus was on cooking with must – there is just a brief window in which to use it before the juice reaches the 12-percent alcohol mark and becomes wine. Hilik takes a big iron skillet and browns free-range chickens from Kfar Hanagid (“One day I’ll do a workshop with Arik Melamed, the grower, if he agrees”) in olive oil, butter and white must. Then the chicken goes into the oven – on a bed of bunches of spinach, mangold and scallion (the incredible flavor of which, after cooking in the grape juice and the juices of the chicken, won’t soon be forgotten). In another skillet he cooks salmon and mussar – the fish that set off his speech about the fishmongers – in beautiful red must speckled with fermented grapes, which have a rich, musty taste reminiscent of the aroma often found in wine cellars. 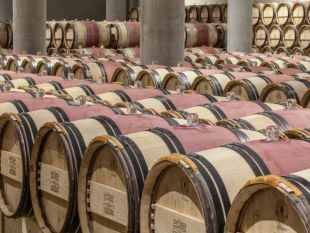 As we wait for the food to cook, Ben-Zaken takes some of the visitors – all in an excellent mood thanks to generous pourings of his wines – on a tour of the production hall. “I’ve been on the moshav since 1971 and I’m still considered a newcomer and a troublemaker. 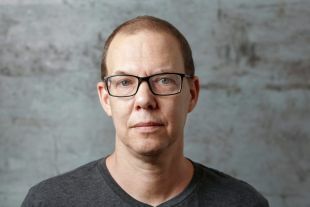 They never liked me there,” says Ben-Zaken, explaining what prompted him to move from the winery that used to be located in Ramat Raziel, where his family lives, to the new location. In the dim and impressive wine cellar, standing on a bridge that overlooks hundreds of casks of aging wine, we stop to admire a rare bottle of wine from 1992, the year of the first grape harvest. Then it’s back to the kitchen, where Hilik is cooking away and entertaining his listeners, and we get to taste the red La Vie, the Castel Winery’s newest wine. “How much I suffered over this wine,” sighs Ben-Zaken. It’s not every day that the Castel Winery puts out a new wine, especially one with a price tag below 100 shekels. Last year, after leaving his main gig at Mapa Press, he debated about where his path would take him next. “I even went into a professional kitchen for a few days, but then I realized that I was too old. But I do love to cook, and I’m an outstanding eater and buyer of food and I always wanted to share the knowledge I’ve picked up over 25 years in the field.” He is also putting the finishing touches on a gastronomic detective novel, and planning a recipe website (“I only know how to cook simple food that I love to eat”) and is devoting much of his time to these workshops with dear friends from the culinary world (“One day, when I finish hiding behind chefs and sommeliers whom I admire, maybe I’ll stand on the stage alone”). The first workshop was held at the Abaya Winery, after a shopping trip in the Acre shuk with the participants. The second took place in the kitchen of Habib Daoud (chef of the Ezba restaurant in Rameh), who, like Eli Ben-Zaken, would never have dreamed of hosting such an event without Hilik’s presence. That event covered 10 recipes from local Arab cuisine. Many of the workshops to come combine food and wine and will be held at some of the country’s leading and most interesting wineries. Others will revolve mainly around food and will be done in tandem with friends like Dudi Shick and Tamar Cohen-Tzedek. The latest workshop was held on September 29 at the Agur Winery run by Shuki Yashuv, focused on the wines of the Jerusalem hills.